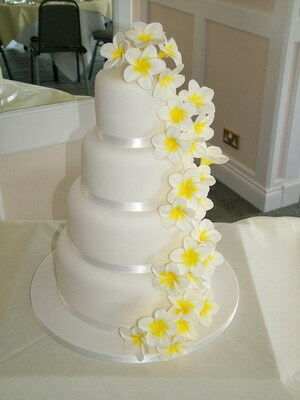 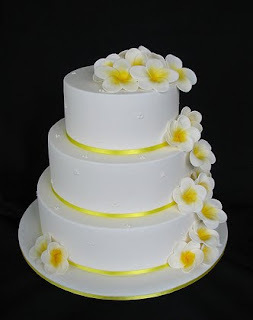 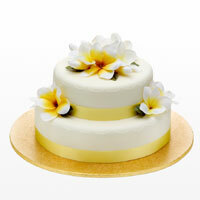 Wedding cake inspiration: Frangipani, yellow with white icing. Various wedding cakes of different shapes and tiers with the common theme of yellow frangipanis and white icing. 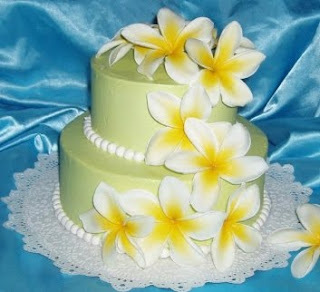 These cakes are great for a summer wedding especially one with a beach theme. 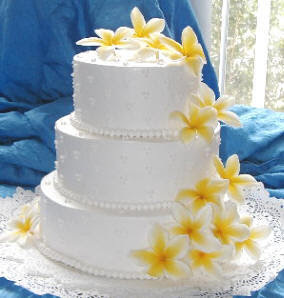 You may want to consider these beautiful beachy hairstyles or summer hair looks for your beach wedding.